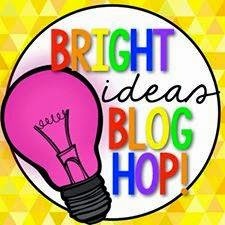 I'm so excited to join some of my favorite blogging buddies for another month of bright ideas! For June, I thought I'd share some of the behavior rewards my grade level used at the end of the year to keep our kiddos a *little* more motivated to be on their best behavior. 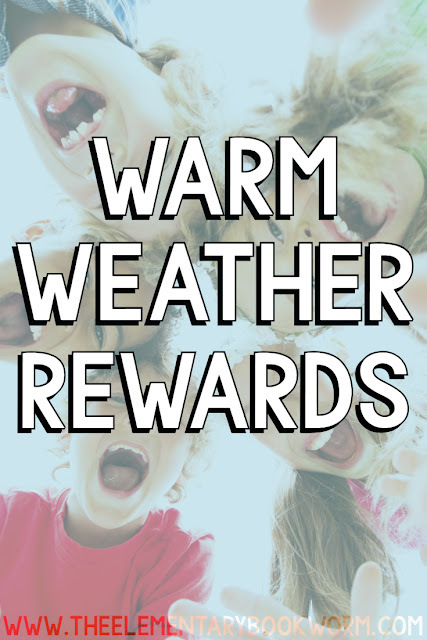 These rewards were perfect for the warm weather we get during the last weeks of school! I want to start by saying that both of these incentives were discussed with our students and explained to our parents through a letter. Our team worked together to write it up and we asked all parents to sign it so that we were all on the same page. If students didn't get it signed, they knew they wouldn't be allowed to participate in the rewards no matter what. All of this was approved by our super-fantastic administration. When state testing started, we knew we needed something to push our kids to a) do their best each day and b) behave after testing ended each day. A few years ago, one of my good friends started using a water party as an incentive. It didn't take long for the rest of us to jump on board. This was the first year we held the water party as a grade level and it was AWESOME. The kids earned 10 minutes of water party time each day - 5 minutes for each section of the test we had to take. We didn't do anything crazy - we just asked the kids to try their best and use their strategies. Most kids earned their time every day. If they lost time, it was usually because they ended their day on yellow, orange, or red. Or, they just flat out lost their mind and did something crazy. Like lick their neighbor's pizza at lunch. And then lie about it. The best part of this reward is that we spent practically Z-E-R-O dollars of our own money on it. The kids could bring in a water toy (as long as it didn't resemble a gun, per our district rules) or $1. We found water crayons at our Dollar Tree for $1 and we bought the stink out of them. We only hogged the playground for about an hour and a half. We used Rubbermaid storage bins and filled them up with water. The "refueling station" was a no squirting zone... and also a great place to hold the kids who didn't get the full time. We took the first 30 minutes to get everyone on the field and explain the ground rules to the kids - no running on the playground equipment (stay on the grass), don't squirt the teachers, only squirt someone below the face, and wear your shoes. The year wasn't totally over, though! We needed something to get us through the last few days of school. So, we employed one of our old tactics - behavior stickers. Popsicles = cheap, perfect for warm weather, and can be sugar-free! Everybody gets a sticker. (We've also just printed them out on paper and taped or glued it down.) We put it inside the cover of their homework journal to make it hard for them to hide easy for parents to find. If they forgot their homework or ended their day on yellow, orange, or red they lost a letter. Once a letter is gone, it's gone. You only have to have ONE letter left to participate in the reward. We used this sticker with 2 weeks (10 days) of school left, and everyone earned their Popsicle. We've used other stickers throughout the year for other rewards - field trips, field day, movie party, etc. - and they work really well for our kids. Yes, there are kids that miss out. But, the number of kids who miss the reward gets smaller and smaller with each reward. I hope this has given you some good ideas for back to school rewards, or for your end of the year fun for next year! Make sure you check out the rest of the bright ideas below! If you liked this post, make sure you keep up with me on Facebook, Instagram, and Pinterest! WOW! This looked like a blast :) Thanks for sharing! 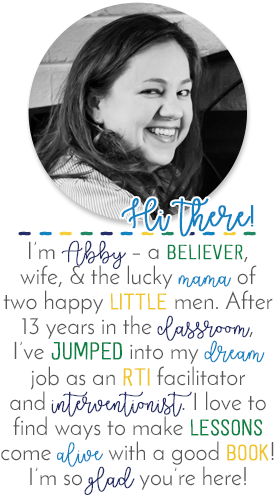 Love both of your ideas for keeping kids motivated at the end of the year! I do a money system for 4th marking period which helps a lot, but I could see adding one or both of your ideas too. Do you just cross out the letters on the sticker?